Bhawishya is a national event organized by Ministry of Science and Technology co-organized by Nepal Academy of Science and Technology along with organizing partners like Karkhana, Robotics Association of Nepal and Nepal Innovation Lab targetting young students aged 8-14. In this event, students get a platform to realize and solve real-world problems by building the project on the event day at the event venue. 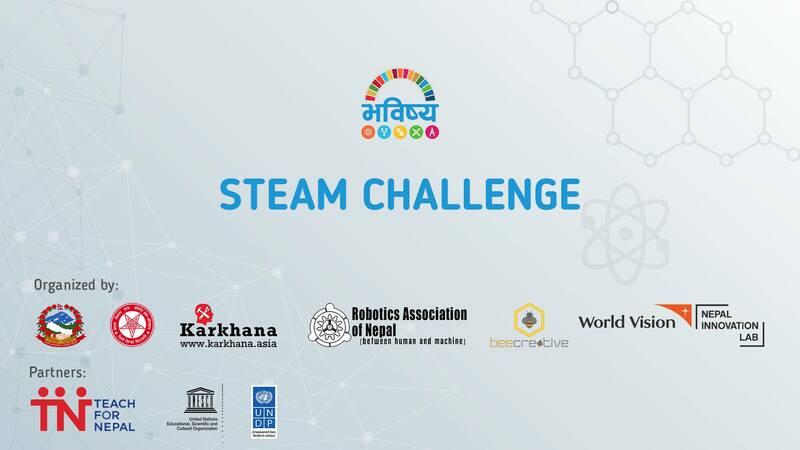 It is a challenge involving Science, Technology, Engineering, Arts & Design and Mathematics (STEAM) subjects where students work in a team of 3 to build a project/working prototype that solves a real-world problem in Nepal. The problem that team is trying to solve is recommended (not compulsory) to addresses one or more goals mentioned in the Sustainable Development Goals but within a certain time frame. Students would have to build the project in the event venue itself and would be judged on the building process.